Self-cutting (or, diverting the train). 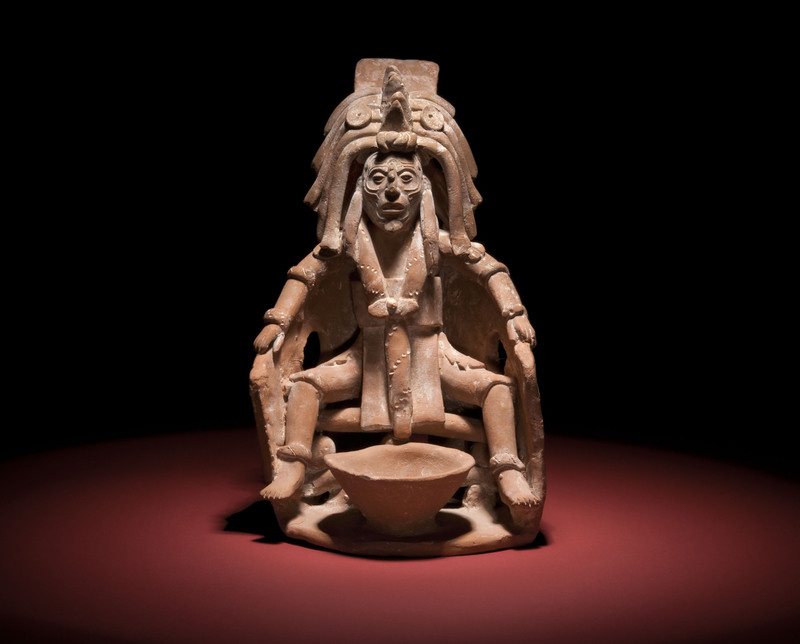 Photo: ancient Maya bloodletting bowl. Credit, Museum of Science. Recently I posted on Facebook about the contrast between what self-cutting “means” in contemporary United States culture versus ancient Maya culture. In our culture, self-cutting is a sign of mental unwellness. In ancient Maya society, self-cutting—or “bloodletting”—was the central ritual act that brought order to the universe. I used to cut. Only a few times, in my twenties, when I found myself in a state of distress I couldn’t think my way out of. Usually I just pressed a sharp point into the heel of my palm until my breathing slowed, but twice, I cut glass and drew blood from my fingertip. I felt really bad about it, because it was supposed to be a sign of extreme mental illness. I tried to explain it to my family at one point (who were understandably upset): that I wasn’t trying to kill myself, or even hurt myself. I was trying to shock my body into another state. Like trying to divert a runaway train. And it turns out that cutting does just that, on the physiological level—it forces one’s body to pay attention to something else. Of course, there’s a huge range of cutting behavior for different purposes. Mine was mild. Many who cut become addicted to the opioids that get released. I was very open about it with my therapist, who suggested other ways of shocking my body that weren’t potentially addictive or destructive: dunking my head in cold water, for example, which I’ve remembered ever since. The ancient Maya didn’t seem to be concerned about addiction, though; or if they were, they called it something else. The practice was deeply respected and carefully regulated, at least among elites, to coincide with major calendar cycles and astronomical events. They did it on the tops of the great temples, piercing their ears or tongues or foreskins with obsidian blades, or rope threaded with a stingray spine, and let the blood gather in a bowl like the one shown above, or let it soak into bark paper which was then burned, or let it soak into white cloth to display to the masses gathered below. This act summoned their ancestors, breaking open time itself. Letting blood was a way of shocking their body into another state—the same base physical purpose that it serves today. But they saw it as opening a portal to the Otherworld. I’m getting more and more excited about Novel #2. This is rich ground. fascinating info. so much of our current living is so sanitized, anesthetized. pain used to be part of the experience of being alive. i look at the bottle of xanax in my bag and have to remind myself that stress and pain are part of the early warning system . . . I’m writing about this too . . . why our people arrive in old age riddled with barely contained explosions of disease and decay . . . because of how disconnected to blood, pain, coming death we are . . .
cant wait to read your novel . . .